TONIGHT! 11/14/13 Irish Roller Bouts! 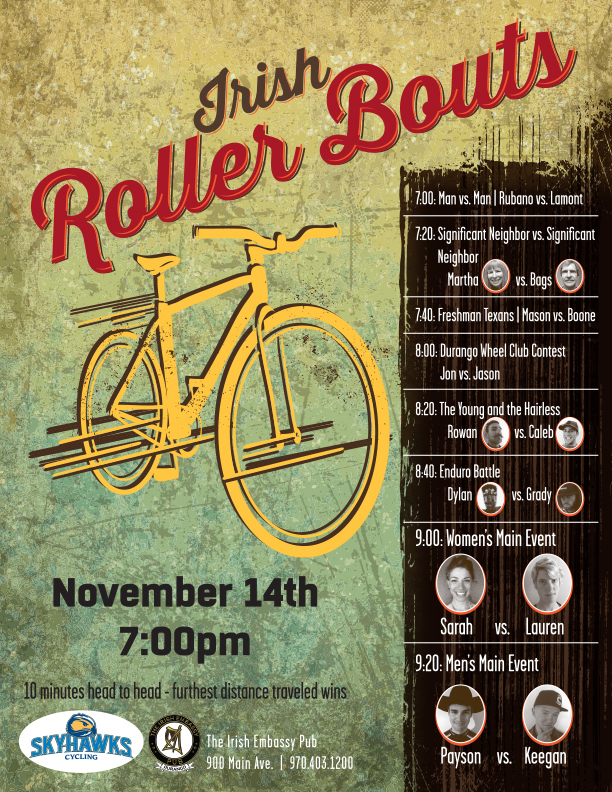 TONIGHT Thursday, Nov. 14th are the Irish Roller Bouts at the Irish Embassy Pub starting at 7pm. These are 10 minute, head-to-head bouts up on the stage at the IE, pitting rivals of the community in battles for bragging rights. Check out the poster for details!